Most folks in this geography-challenged land would tell us New Jersey is nothing more than smelly oil refineries, strip malls, housing developments and some nebulous thing called “the Jersey shore.” Most would suggest everything from Boston to Richmond, Virginia is an overdeveloped area so densely populated that a person can’t turn around without bumping into someone else. Those of us in South Jersey know this isn’t true. Fact is, we’ve got a secret stash of prime wilderness to call our own. Over a million acres in south-central New Jersey are legally protected from commercial development, and this area is rich with natural wonders. In 1978, the U.S. government designated the area as the New Jersey Pinelands National Preserve, the first such preserved land in the nation. The following year, New Jersey formed a New Jersey Pinelands Commission to oversee preservation and protection of the area. In 1984, the United Nations named it an International Biosphere Reserve. We even have a mascot, the “Jersey Devil,” a mythical creature capable of creating paralyzing fear in even the most daring and courageous of humans. Referred to as the pines, or the pine barrens or the pinelands, this is a pristine natural area surrounded by dense commercial and residential development. When this development bumps up against these pinelands, the Pinelands Commission steps in and bumps back. For 35 years now, they’ve been doing a good job protecting this precious natural resource. 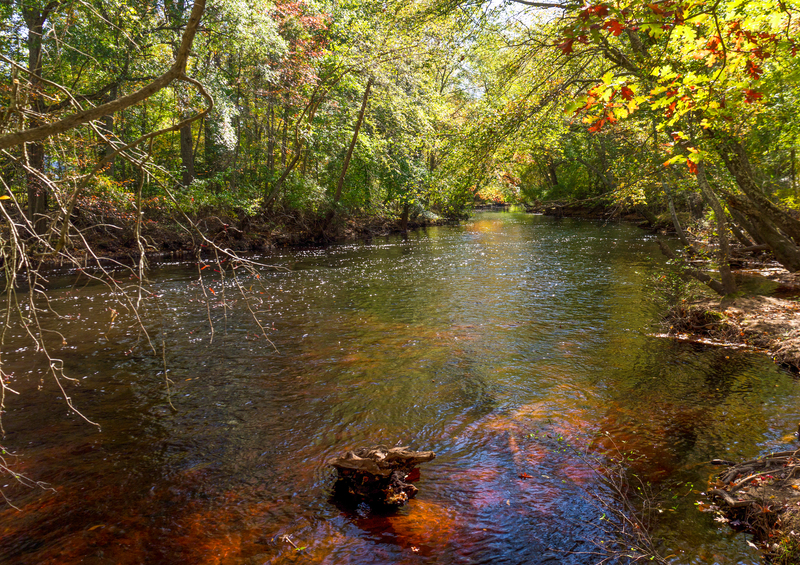 The Great Egg Harbor River at Weymouth, NJ is part of the pinelands. This year political pressure is pushing hard on the Pinelands Commission to renege on their public trust. 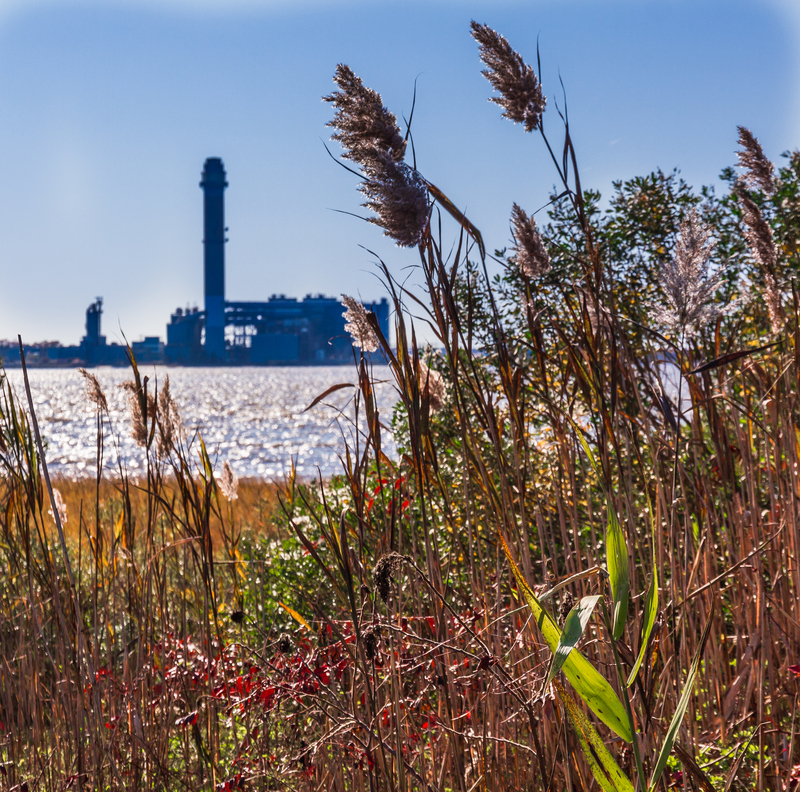 The South Jersey Gas company wants to build a gas pipeline from the Millville, NJ area to an electric power generating plant at Beesley’s Point, NJ near Ocean City. They want to run the pipeline through the protected pinelands area. Presuming they would be turned down (I suppose) if they asked the Commission for an exception to the rules, they partnered with the New Jersey Board of Public Utilities to ask for a special exemption granted only to stage agencies such as the Public Utilities Board. This back-door approach at getting around the protections of the land seems to me disrespectful of both the spirit and letter of the legal protections afforded the pinelands. Personally, I think they should be ashamed of themselves. I also believe, in spite of their claim that there is no other viable route for the pipeline, they could find another way. The power plant they want to convert to gas was operated for years on coal. The coal was delivered by rail, and railroad rights-of-way are frequently used for underground pipeline routes. There is a rail line with a gas pipeline under it not 30 feet from my front door. Even more odious, the pipeline interests have offered $8 million if the Pinelands Commission will vote their way. It almost sounds like an open bribe. News reports indicate the New Jersey Governor wants this pipeline to be built. Since he appoints half the Pinelands Commission members the pressure on those people is surely enormous. Written testimony to New Jersey Pinelands Commission concerning Proposed Memorandum of Agreement between the Pinelands Commission and the New Jersey Board of Public Utilities. A stark view of why this area is often called the pine barrens. 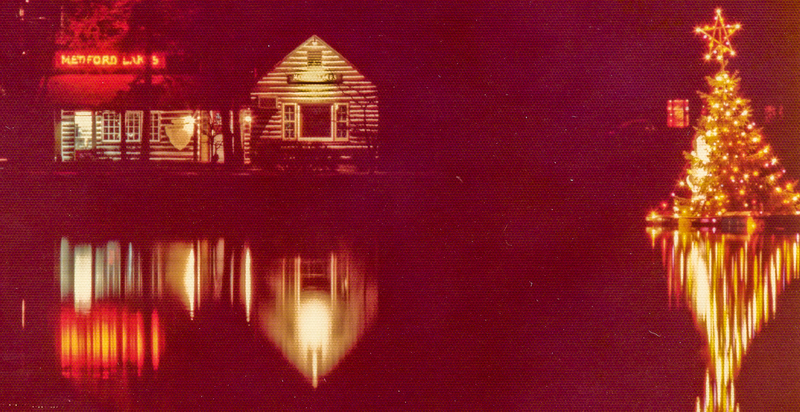 Photo taken mid-1970s. The New Jersey Pinelands Commission probably should not permit pipelines of any sort to be constructed through protected areas under its jurisdiction and protection. A pressurized pipeline shuttling toxic hydrocarbons seems especially contrary to the concept of a conserved natural area. I am concerned with the fact of the pipeline itself as well as the politically manipulative and disrespectful manner that South Jersey Gas and the New Jersey Board of Public Utilities are using to attempt to breach the very intent of the Pinelands Protection Act. These lands need to be protected in perpetuity for all generations. 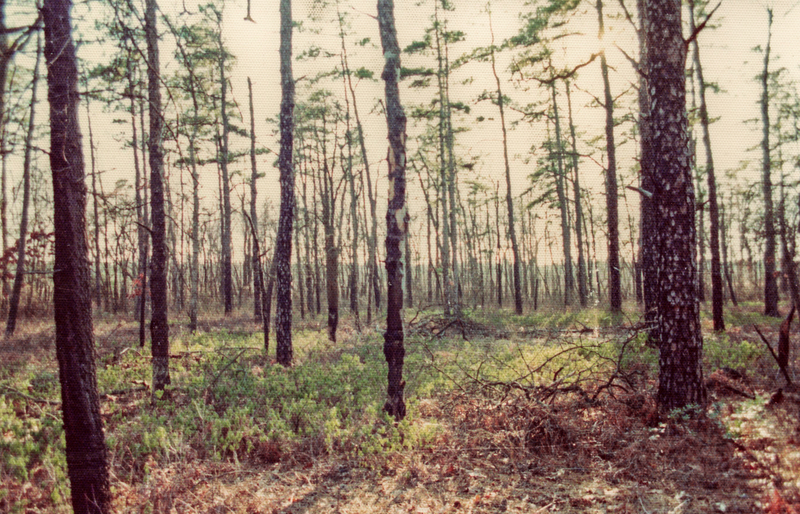 The loss of our pinelands would be shameful, and it would take more from us than physical resources. Conjuring a political scheme to defeat the intent of pinelands preservation suggests a craven contempt for the very lands that reasonable people of this state have deemed sacrosanct. There is a spiritual component thriving through these pinelands. It can be fragile and is deeply vulnerable to our human thoughtlessness and carelessness. Let’s care enough to resist the “pragmatic” pressures from thoughtless and uncaring politicians and business interests. Christmas at Medford Lakes in the pinelands. Photo taken mid-1970s. I lived in Indian Mills (Shamong Township), NJ in the early 1970s. I was a few years back from the war and driving a truck through the pines every day out of Indian Mills. One summer weekend around 1972 my three younger brothers and I spent a weekend canoeing the Mullica River. On Friday afternoon we assembled at my home, and we enjoyed a hearty dinner and pleasant social evening. Saturday morning we were up with the dawn and putting two canoes in on the eastern side of U.S. Rt. 206 across from Atsion Lake. The upper river was narrow and congested with vegetation in those days (and may still be today, let’s hope) so the going was slow. Nevertheless we had a grand time and at day’s end we pitched tents on the bank, cooked our rudimentary dinner and had fun telling tall tales around the evening campfire. The lore of the “Jersey Devil,” of course, was never far from our thoughts. The night was peaceful as only the pines can be, and after breaking the fast and the camp, we were back on the River Sunday morning. Early afternoon we had a minor mishap. I was in a canoe with my 14-year-old brother, Bob. My brothers, Jim and Joe, were downstream and didn’t see when our canoe capsized. To say Bob panicked would be understatement. Despite the fact that I was standing in water up to my neck and could have waded to shore, Bob was flailing about screaming, “We’re going to die, we’re going to die, we’re going to die.” He desperately wanted to get onto the shore, and I just as desperately wanted to get him back into the righted canoe. I knew if he got on shore he’d be lost, and then there would be real trouble. So, as I worked to gather water-logged packs and tents and to convince my blathering brother we had to get back into the canoe, I noticed something in the background. Almost like a soft focus Fellini movie scene, a large canoe floated serenely by at midstream, this one containing an entire family. Granny lounged in the middle position; a man was in the stern and a woman in the bow. And there were a couple of young children in the canoe. As this placid, multi-generational picture floated by in the background, my brother continued to bellow, “We’re going to die, we’re going to die, we’re going to die!” The irony was lost on my brother, but I recall it to this day. Land and water contrast starkly with the Beesley’s Point generating station. Well, we did not die. I got Bob back in the canoe and we safely made the rendezvous point where our driver picked us up and drove us and the canoes back to Indian Mills. This is surely not a story for the ages, but it is a story about the ages. It’s also a story about the spirit of the pines. This story from 40 years ago is still being told today; that in itself is the point. Such stories nurture our families and our human community. At Tracy family gatherings, this story is frequently told. It was told again this past Thanksgiving at Bob’s home, much to his chagrin and the delight of his daughter and granddaughter. Surely, this is one of countless stories fashioned from experiences in the New Jersey Pinelands that by social contract we have jointly agreed to preserve and protect from developmental encroachment. Such stories should continue to be told 40 years from now and 80 years from now – and yes, 100 or more years from now. And they will be told if the New Jersey Pinelands Commission fulfills its duty to protect as indicated in the 1979 enabling legislation, the Pinelands Protection Act. This law recognized (as did my brothers and I in 1972) that “…the pinelands area comprises pine-oak forests, cedar swamps, and extensive surface and ground water resources of high quality which provide a unique habitat for a wide diversity of rare, threatened and endangered plant and animal species and contains many other significant and unique natural, ecological, agricultural, scenic, cultural and recreational resources; that the continued viability of such area and resources is threatened by pressures for residential, commercial and industrial development… [my emphasis].” Recognizing these facts, the state created a New Jersey Pinelands Commission to ensure the area is protected by authority of law. 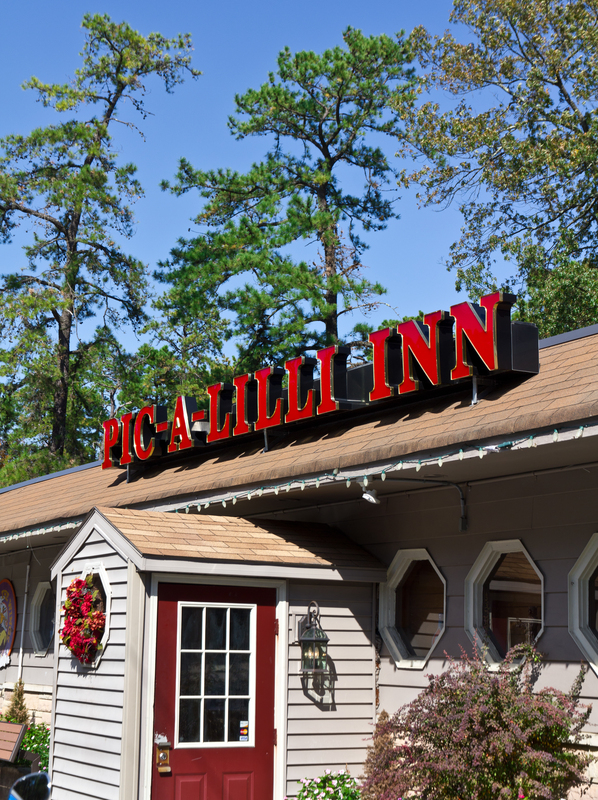 The legendary Pic-A-Lilli Inn on U.S. Rt 206 in the pines. In the 1970s, the bar featured a beer-swilling goat. The plan developed by South Jersey Gas to put a subterranean gas pipeline through parts of the protected pinelands is most troubling in its apparent innocuousness. The harm would seem to be little if at all, and yet the benefits could be substantial. While we cannot know for sure the levels of benefit or harm at this point, we can be sure the decision to permit this pipeline constitutes a precedent that may contain the seeds of great future harm. When a future decision must be made, perhaps on an issue where more potential harm is evident, and the Commission turns it down, we can be sure the Commission will be called by a Court to show cause why this is different from the decision to allow a gas pipeline. And every decision in the future risks a legal challenge that will require expenditure of resources better used for direct conservation activities. Given the depth of opposition and resentment I’ve observed around this issue I have to wonder if approval might engender direct action opposition that could be violent. If Earth First! type so called “eco-terrorism” erupts, it can cause harm to the land as well as being costly. Pipeline construction could be sabotaged, equipment destroyed and even more damage done to the land. If completed, who funds the small security army needed to patrol and protect the pipeline night and day? Perhaps it would be easier and overall less expensive to simply protect the pinelands right now. For the New Jersey Pinelands Commission to open itself up to a possible barrage of litigation, potential violence on the land and unforeseen expenses seems in itself irresponsible. Such a situation would severely diminish the ability of the Commission to fulfill its primary purpose – preservation and protection of our unique common and charmed inheritance so we may turn it over wholly unsullied, both physically and spiritually, to future generations. To all future generations, please.